Designer eyeglass frames in different shapes and fabrications from hundreds of different brands are available at Eyeglasses.com. You are able to select designer glasses frames made from aluminum, tech alloy, titanium, carbon, metal, nylon, plastic, rubber, or wood to interesting metal combinations, as well as select from numerous frame shapes such as classic, oval, rectangle, round, aviator, cat eye, modified oval or round, navigator, to geometric and wrapped. 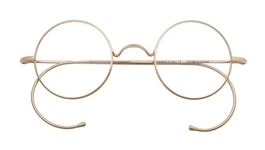 At this point, almost every major fashion design house has created a line of eyewear frames. They usually start with a sunglasses collection, but then quickly move to eyeglasses frame when they realize how important and prevalent are eyeglasses to a person’s daily outfit. The most popular designer by far is Gucci, which is the most powerful single brand in the world. The iconic nature of the Gucci designs makes their large eyewear collection suitable for men and women in every facet of daily life. Close on their heels in the eyewear world is Versace, Prada, Armani, Silhouette, Guess (interestingly), Ralph Lauren Polo, and Nike. Of that list, Giorgio Armani and Emporio Armani together is the next most popular designer eyewear collection. It is also interesting to note the popularity of Silhouette, which is not a fashion design house, but rather an eyewear-only company. The popularity of the Silhouette rimless, hingless, titanium frame Silhouette 7799 cannot be overstated. 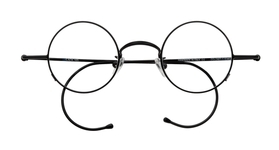 They are also well known for their precursor titanium model, the Silhouette 5227 which is super light and folds flat. It seems as if designer eyeglasses are now made by just about every designer brand you can think of. 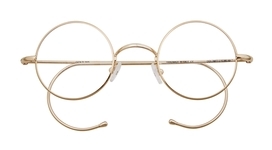 Some designer eyeglasses brands try to keep their eyeglass designs from being sold on the Internet, in order to prevent price discounting. 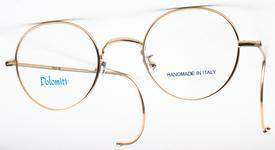 However, most styles of designer eyeglasses are available on the Internet. If there is a designer eyeglasses brand that you are looking for but can't find on Eyeglasses.com, call our customer service to see if we can source the designer brand for you.